President Moon Jae-in will likely start replacing some Cabinet members soon after the upcoming Lunar New Year's holiday, largely to allow his lawmaker-turned-ministers to run in next year's parliamentary elections, informed sources said Sunday. "A Cabinet reshuffle is inevitable as many of the ministers who are also incumbent lawmakers will likely seek to run in the National Assembly elections," an official from the presidential office Cheong Wa Dae said, while speaking on condition of anonymity. Currently, there are seven government ministers who are also sitting members of the National Assembly. A second Cheong Wa Dae official noted a Cabinet reshuffle will likely begin shortly after Lunar New Year's Day, which falls on Tuesday, but said the process will likely be spread out over a span of weeks to even months. "It will not be a one-time deal," the official said, citing a large number of ministers who may wish to return to the National Assembly for re-election. The parliamentary elections are set to be held April 15 next year. Any government official who wishes to run in the election must resign from their government post at least 60 days in advance. Local political observers note Interior Minister Kim Boo-kyum and Transportation Minister Kim Hyun-mee may be among the first to be replaced, along with Culture Minister Do Jong-hwan and Oceans Minister Kim Young-choon. 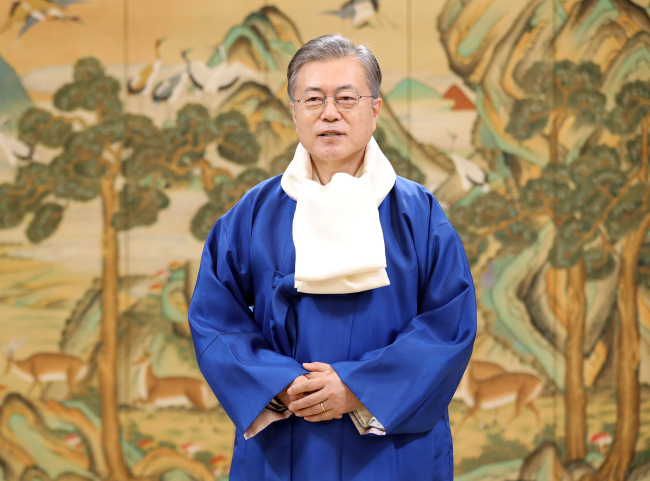 The four lawmaker-ministers from the ruling Democratic Party were appointed shortly after the Moon Jae-in administration took office in May 2017. The lawmaker-turned-ministers also include Education Minister Yoo Eun-hae, Agriculture Minister Lee Gae-ho, and Minister of Gender Equality and Family Jin Sun-mee, all of whom were appointed to their ministerial posts in the latter half of 2018. The proposed Cabinet reshuffle will also follow a recent replacement of several aides to President Moon at Cheong Wa Dae in what was widely viewed as part of efforts to prepare the government for the latter half of its single five-year term.